Liz Waters is the President of AONTAS (The Irish National Adult Learning Organisation) and the Director of An Cosán Virtual Community College (VCC). She has also worked as the CEO of An Cosán and has been a member of the steering committee which helped to establish the Community Education Network (CEN). As the AONTAS President, Liz Waters works with the CEO and Executive Committee to set the strategic direction of AONTAS at the national and European level. She has managed the succession planning process for recruitment of a new and dynamic CEO in 2016 as the previous long-standing CEO stepped aside. She supports the CEO in her review and reorganization of AONTAS, ensuring it is operating as a high quality charitable institution in the 21st century. She has also initiated a review of the Executive Committee to ensure AONTAS and the Executive Committee are managed to the highest standards of corporate governance. She also attends and presents to many conferences, functions, seminars, and consultations on behalf of AONTAS including presenting at the EU Adult Skills Conference (December 2016). 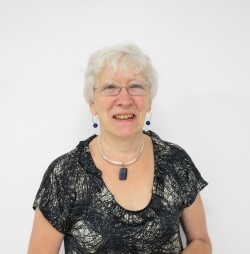 Liz Waters is a very experienced community education/development practitioner and has considerable experience in the formal and non-formal adult/community education sector including but not limited to curriculum development and teaching at basic, further, and higher education; instructional design for blended learning; validation and accreditation and quality assurance. At EAEA, I want to contribute to making the learner the center of European adult education policy and to developing a strong continuous professional development framework for practitioners. I have always been passionate about adult education and its potential to contribute to social change. EAEA has proven itself to be a dynamic and progressive organization making a significant contribution to European adult education policy.